Ever go to that breakfast place you love that makes the best egg white sandwiches, hop on the elevator to go to the office, and then realize that the grease pit smell is you? Not only do you have to make it through the day smelling like you worked the late shift at a diner, you had happy hour plans after work. Your first thought may be to run to Sephora to buy a rollerball of your favorite perfume, but there may be a better solution. 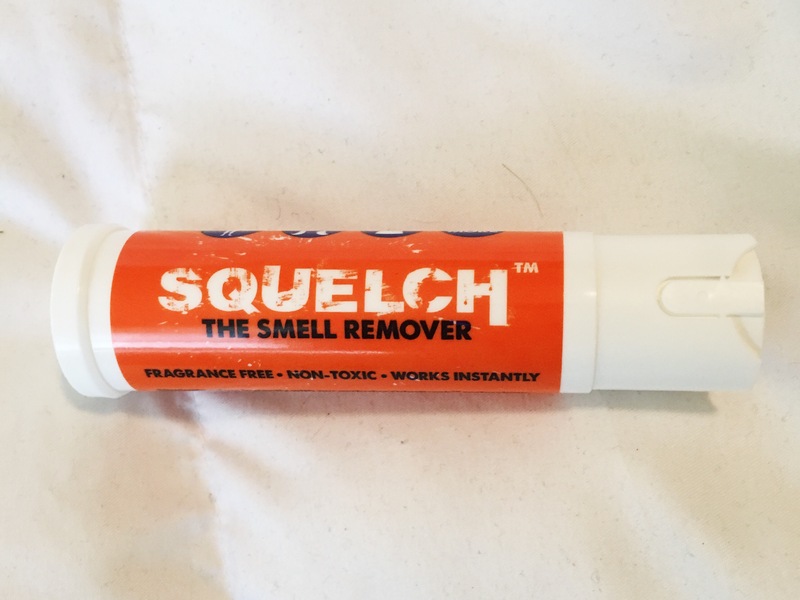 Squelch is a deodorizer that is the compact answer to all of your problems. It is all natural, scentless, removes smells and certain stains. Keep it in your purse or desk for emergencies or at home to refresh fabric furniture and remove pet odors. The best part about Squelch is that it is safe for both fabric and your skin. Have a mid-day spin class and have to head back to office? At bar or party with a cloud of smoke? Did girls night get out of hand and your bestie spilled her red wine on your blouse? Did you get an adorable vintage coat that you don’t have time to get dry cleaned? Squelch is the way to go. Squelch can be purchased at squelchit.com! This post was sponsored Squelch.